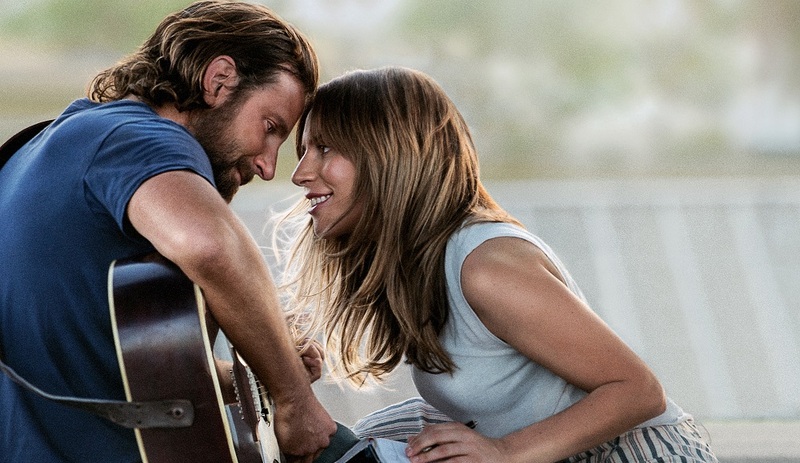 Jackson Maine (Bradley Cooper) is an aging superstar musician who is trying to finish out a long stadium tour battling exhaustion and an addiction to painkillers while he also spending his off hours guzzling hard alcohol as if it were water. He’s a case study in Rock ‘n’ Roll clichés, and even with his fatherly older brother and stage manager Bobby (Sam Elliott) trying to look out for him, Jackson isn’t one to take advice or instruction with open arms. He’s more prone to respond to whatever impulse strikes his fancy at any given moment, believing that this creative passion is what has made his music so popular to millions all over the globe. Ally (Lady Gaga) is a struggling songwriter with a killer voice working as a waitress at a swanky hotel restaurant in order to pay the bills. Once every month or so the ladies at a popular Drag bar give her the opportunity to perform, the customers thrilling to her renditions of French classics like, “Ma Vie en Rose.” On one such night who should walk through the door but the one and only Jackson Maine, and the moment Ally sings he knows she has what it takes to be a star. As the night goes on, the two of them talk about life, music and everything in-between, igniting a fiery love affair that will change both of their lives forever. So begins A Star Is Born, the fourth official reworking of the story first dreamt up by William A. Wellman and Robert Carson back in 1937. That film featured Janet Gaynor and Fredric March, while the 1954 musical adaptation starred Judy Garland and James Mason. As for the 1976 version, Kris Kristofferson and Barbara Streisand filled the roles of the two lovers whose careers ended up going in opposite directions, the drama winning the Oscar for Best Original Song for its love theme, “Evergreen.” Now Cooper, making his directorial debut while also crafting the script with Eric Roth (Munich, The Insider) and Will Fetters (Remember Me), tries his hand at giving this timeless story fresh life, saying he succeeds at doing so a colossal understatement. The first half of this new take on the story is incredible. The portions where Jackson and Ally meet, romantically intertwine and learn how to make music together are superb, Cooper and Gaga achieving a melodic harmony that held me spellbound. It all culminates with that moment from the film’s trailer where the amateur songstress is challenged to take the stage with a bona fide superstar, discovering that by doing so she’s a force of musical nature to be reckoned with. Magnificently staged and immaculately shot with mesmerizing intimacy by the great Matthew Libatique (Black Swan, mother! ), there is a pleasingly pulverizing vitality to this scene that’s extraordinary. It sets the stage for the dramatic maelstroms to come, Cooper doing a grand job of making certain the audience is invested in the fates of both of these characters no matter how messy their story might soon become. 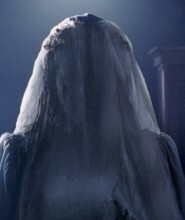 The second half, after the pair get married and Abby’s fame grows while Jackson’s battles with illness and addiction brutally begin to take their toll, it’s admittedly a bit of a comedown after that explosively thrilling first hour or so. Even for those unfamiliar with any of the previous versions of the story, it isn’t like the tale being told is a new one. Countless other films, television show, plays, operas and books have traveled through similar terrain, so figuring out where the two central characters here are headed isn’t difficult. This unfortunately mutes some of the emotional intensity, and if not for the overall excellence of the two leads as well as the supporting cast this likely would have been a far more gigantic problem than it happily ends up proving to be. 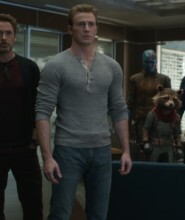 And, make no mistake, Cooper has cast his debut marvelously. Elliott gives a bold, full-bodied performance, the emotional scars left in the wake of his and his younger brother’s troubled past running deep. But so does the unvarnished love, respect and admiration Bobby feels for Jackson, especially when he takes a long, candid look at what he’s been able to do with his life as it concerns his musical career. 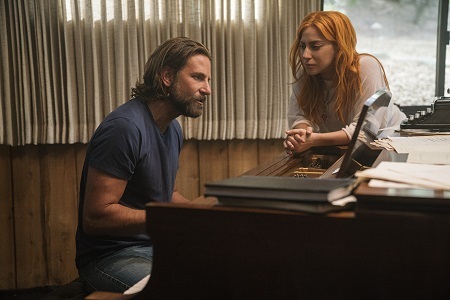 Elliott might not have a lot of screen time but he unquestionably makes the most of it, a third act scene between him and Gaga a barnburner of sibling pride and personal regret that knocked me senseless. But he’s not the only one who delivers. Andrew Dice Clay is sensational as Abby’s chauffeur father Lorenzo, while Dave Chappelle is subtly masterful as Jackson’s childhood best friend and confidant Noodles. Additional performances of note include Anthony Ramos as Abby’s coworker Ramon, Rafi Gavron as music producer Rez and Greg Grunberg as Jack’s trusted driver who convinces the woman who has caught his boss’ eye to get on a plane and fly to his next concert whether or not she initially thinks doing so is a good idea. Also worth mentioning are D.J. Shangela Pierce and Willam Belli as a pair of Drag performers at the club Jackson first sees Abby perform in, the two adding a shot of adrenaline to the movie that’s delightful. Then there is the music. Featuring songs co-written by Cooper, Gaga and a number of other pop, country and rock heavyweights, every song matters, and not only because they’re easy to listen to and, in most instances, hum along with. They also propel the story forward, all having an impact on where both Jackson and Abby are headed at any given moment. They are the driving, palpitating heartbeat at the center of the drama, Cooper utilizing each one at just the right time in order to augment their emotional effectiveness. I’m not going to lie. 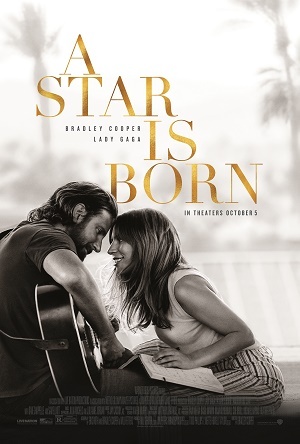 While I think both Cooper and Gaga are stunning, and while I enjoyed their interpretation of A Star Is Born quite a lot, because there wasn’t really anyplace the story could go other than in the same directions covered similarly in the previous versions I can’t say the last act did much for me. I knew what was going to happen, and because of that the tears did not fall. That does not mean I do not think Cooper’s directorial debut isn’t worthwhile. It is. That does not mean I wasn’t blown away by much of what the filmmaker is able to accomplish. I was. It just means the final moments, while impressive, didn’t pierce the heart near as much as I am sure they were intended to. Even with that being the case, Cooper’s spin on A Star Is Born is still pretty darn terrific, so much so I might be inclined to say it’s my favorite out of all four takes on Wellman and Carson’s original source material.